Leopard is one of the prints that I don’t wear as often as a stripe or a floral. It’s funny because I’m pretty game to try any new trend and have no reservations about wearing a man repeller getup. However, I tend to shy away from 1. tight or low cut silhouettes and 2. animal prints. 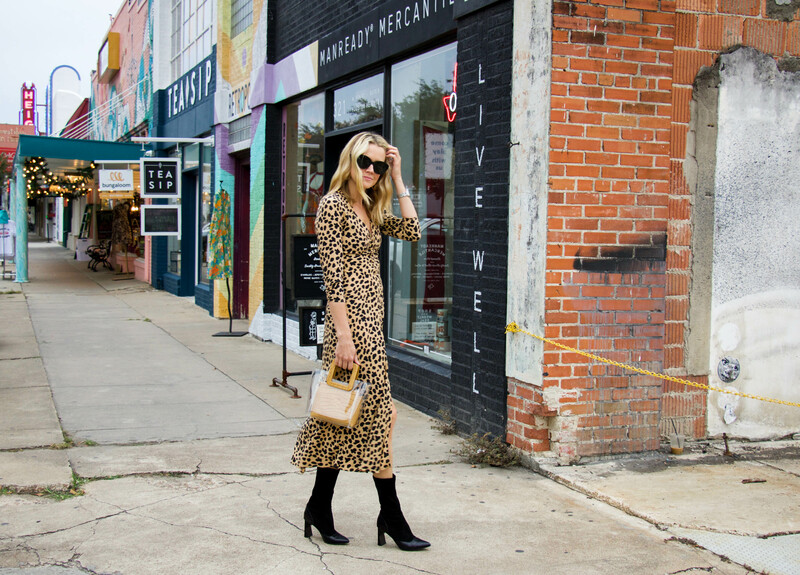 I don’t know why, because I looove seeing leopard on friends and other bloggers! 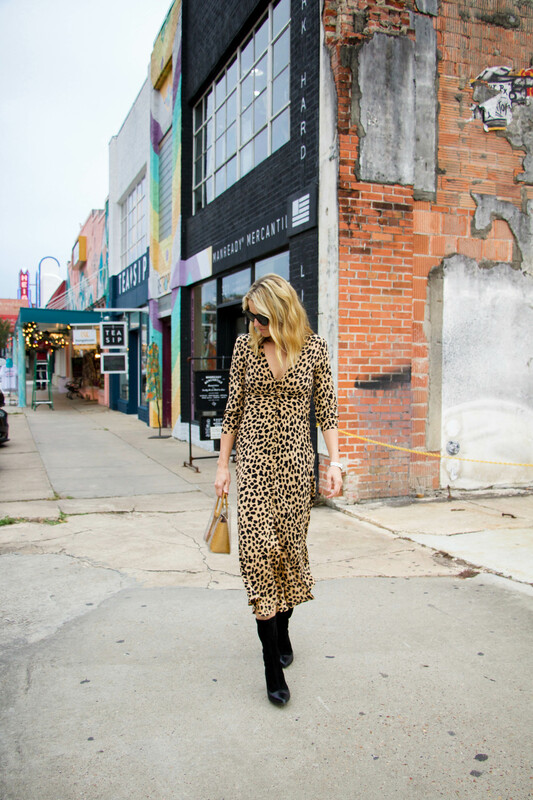 We even did a leopard round-up earlier this fall with all of the pieces that I had my eye on. So…..I finally pulled the trigger on this pretty RIXO dress which combines both #1 and #2 and guess what, I love it!